‘At a Distance’ is an on-going collaborative series with artist/curator Anne Eggebert in London, UK. 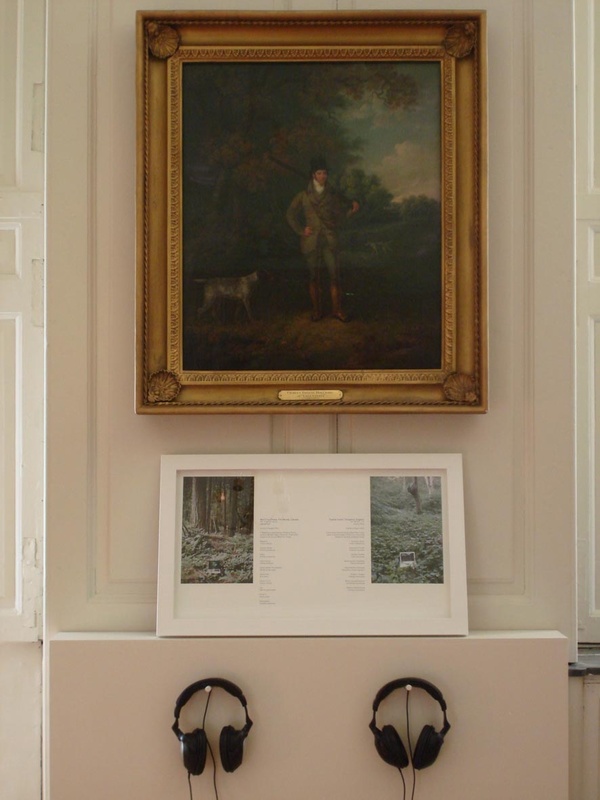 To a large extent this has involved the exchange of e-mail conversations relating our sensory experiences of moving through our respective forests and the memories and anecdotes that assign meaning to the idea of forest. Looking for the familiar in elsewhere and the unknown in the local, a key aspect of ‘At a Distance’ has been to invert the ‘here’ and ‘there’. 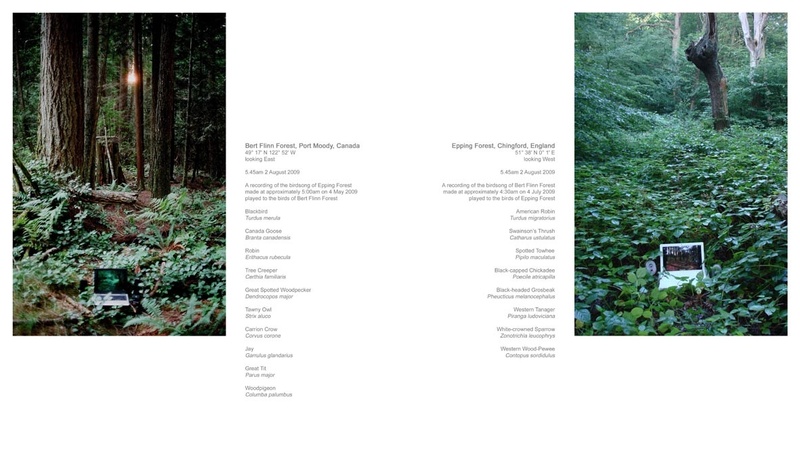 ‘At a Distance: Dawn Chorus’, involved the exchange of audio recordings of the forest birds of Port Moody and Chingford played to each others forests via laptop computers displaying the distant forest.